In 1965, our founders envisioned a company that “would bring the developing technology of academia, especially in the then-burgeoning area of quantitative methods in economics, to the real world.” CRA is now one of the leading consulting firms in the world, and we have provided astute guidance to clients in thousands of engagements. 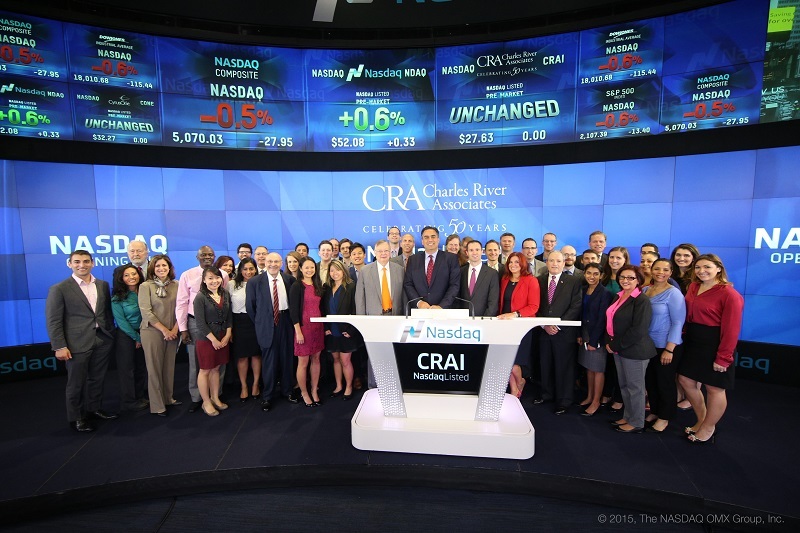 As we celebrate CRA’s 50th anniversary, their vision continues to resonate strongly today. We may have outgrown our humble beginnings working from a hotel suite in Cambridge, Massachusetts, yet so much of who we are remains the same. Our New York City team celebrates the 50th anniversary by ringing the opening bell at Nasdaq. CRA is one of the leading consulting firms in the world. We’re a place where people come together to provide unprecedented client service and the highest-quality results to major law firms, corporations, accounting firms, and governments around the globe. Our ability to apply theoretical concepts and superior analytics to create meaningful solutions to clients’ challenges has been a source of pride and differentiation since the founding of our firm. The people who have worked at CRA have been key to our success over the last fifty years. To learn more about them, we invite you to click here.